Coronary heart disease is the leading cause of death for men and women in the United States, killing more than 600,000 people every year – that’s approximately one in every five Americans. 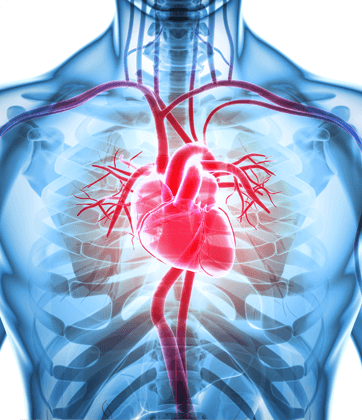 Atherosclerosis, or hardening of the coronary arteries, is the most common cause of coronary heart disease. When cholesterol builds up in arteries that carry oxygen to the heart, it hardens and forms layers of plaque. If these plaques break apart, they can result in blood clots that restrict blood flow. When this occurs in the coronary arteries, it can lead to a heart attack. Blood clots that form in the vessels supplying blood to the brain can cause stroke. Plaque that builds up in or blocks blood vessels leading to the legs, feet, arms, or hands can cause peripheral vascular disease. The best way to prevent heart disease is to live a healthier lifestyle. At Advanced Cardiology Associates of Rochester Hills and Oxford, Michigan, we work closely with our patients to help them prevent, manage, and treat heart conditions. We customize our approach to suit a patient’s individual situation and needs. Eat a diet that is low in fats, sodium, and sugar. Choose foods that are high in fiber, contain whole grains and omega-3 fatty acids. Control blood sugar, blood pressure and cholesterol levels. Exercise regularly by creating a routine or regimen that is customized to your goals and needs. Lose weight if you are overweight or obese (if your Body Mass Index is over 25). Take control of your health and prevent heart disease before it’s too late. Schedule an appointment with one of the cardiovascular experts at Advanced Cardiology Associates. Call the office you wish to visit at (248) 844-1010 for Rochester Hills or (248) 236-8320 for Oxford or request an appointment online.